Direkli Cave in Turkey's southeastern Kahramanmaraş province – previously estimated to be 14,000 years old – may in fact date back as far as 30,000 years, archeologists say. 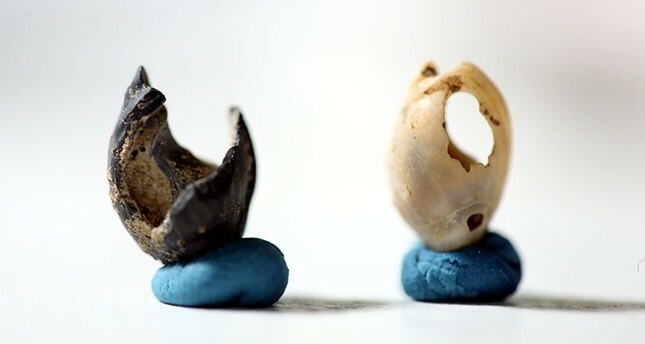 Assistant Professor Cevdet Merih Erek of Gazi University, who has led the excavation since 2007, said his team of researchers have discovered new artifacts in the cave that are associated with the Upper Paleolithic Era, which dates to between 50,000 and 10,000 years ago. "We have reached the end of the ninth archaeological level," Erek told Anadolu Agency. "The date of the seventh archaeological level is 10,730 (years old), while the ninth level has reached about 14,000 (years old)." However, the team has recently found objects associated with the Upper Paleolithic era, such as a bulbous blade, a kind of cutting tool. The researchers are still conducting carbon-dating tests on the items, but Erek believes they could date back 30,000 years. "We say this because of the change in the chipped stone tools. Instruments were changing to other varieties during this period, as it is the case of this blade," Erek said. Previous research at Direkli Cave, which was already though to be the oldest settlement in Turkey, placed the cave's history in the Epipalaeolithic Period – the tail end of the Upper Patheolitic Era prior to the Neolithic Era. Located 65 kilometers outside of the southeastern Kahramanmaraş province, the Direkli Cave was put under the spotlight by Professor Kılıç Kökten in 1959 after his studies in the region. Following Kökten's work on the cave, various new archeological features were discovered. A sculpture of a mother goddess, which was discovered in 2009 during the excavations led by Erek, caused a stir among international archeology circles.